This is a cinquain poem. A cinquain poem follows the pattern: 1 word, 2 words, 3 words, 4 words, 1 word. 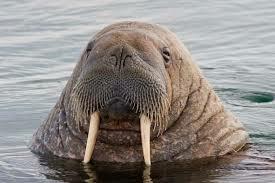 I loved it because walrus are cute.